The biggest lie the West ever created, was convincing the world that its values were universal and ‘neutral’. But unbeknownst to most people, its values are based upon its own particular worldview, which is quite distinct and antithetical to most of the world’s (original) belief/law systems. Thus like how the U.S. promotes the dollar, the West printed out its intellectual currency, and asked everyone to use it as a universal standard for moral and intellectual transactions. But like how the dollar is linked to the US economy, so Western values are linked to their beliefs and worldview. And if one fails, so does the other. It is for this reason that, the ‘values’ of (the Western conception of) ‘Human Right’s’, ‘Freedom’, ‘Democracy’, ‘Democratic legitimacy’ [unless you vote for an Islamic party], and (the Western concept of) ‘Equality’ – are so ubiquitous in global usage. Now anywhere you travel, you can intone these ‘sacred’ and ‘holy’ words, and instantly gain some moral currency. These words, are, in reality, euphemisms for Secular Liberal concepts that bear little resemblance to the actual meanings of the words use. While Islam shares use of universal words that every religion and ideology claim to advocate, such as: ‘justice’, ‘balance’, ‘rights’ and ‘freedom’, it does so from a completely different meaning and basis to Liberalism’s use of these words. However, there are words that have very specific meanings that don’t exist in other cultures, religions and ideologies. Words like (Secular) Democracy, Secularism, Feminism, Humanism and Liberalism. The Western worldview [or intellectual bank] highly esteems those words, and many Muslims have unfortunately succumbed to the use of them, in order to placate the demands of Western societies. So we see some Muslims use words like ‘(Secular) Democracy’, ‘Secularism’, ‘Feminism’, ‘Humanism’ and ‘Liberalism’, not only to demand justice for themselves, but also as descriptions for aspects of Islam itself! After the ravages of colonialism upon the Muslim mind, many Muslims have taken to dangerously using this currency to explain Islam and demand justice for themselves. Some Muslims obliviously and naively use whatever words are in vogue, despite them being impregnated with foreign and blatantly un-Islamic worldviews, with the excuse (they tell themselves) that if they assign them a different meaning to the patently obvious meanings they have based upon the Western worldview, they will somehow be OK to use. The Prophet Muhammed (saaw) is narrated to have ordered Muslims not to drink using wine cups, even if Muslims were to drink water by them. This is simply because of the connotations that wine cups have. Yet some Muslims are happy to use words that have connotations antithetical to Islam! This would be the equivalent of not just using wine cups, but drinking wine along with it – but calling it ‘not-wine’ [The Prophet Muhammed (saaw) is narrated to also have prophesied that some Muslims would literally do that too!]. So we see Muslims saying ‘well, when I use the word (Secular) democracy, I mean choosing the leaders, not denying God’s right to rule’. This is despite the fact that the term ‘demos kratos’ means ultimate sovereignty and law making by the people, not from God. The simple response is to tell these Muslims that insist upon using the word, ‘ok – but then EQUALLY you should be also happy to call for ‘Theocracy ‘too, since it means rule by God, which is something you claim you don’t deny’. Only those who lack hypocrisy would agree with this counter-argument. Muslims say ‘Feminism just means rights for women’ – despite the fact that all legal systems have given rights for women [the disputes are only in what those rights are]. Of course, Feminism actually [claims to] mean the absolute equality and identicality of the legal treatment of men and women (negating all gender roles), the independence of women from all responsibility and duty by dint of their gender, and gender sectarianism. The simple response is to tell these Muslims that insist upon using the word, ‘ok – but then EQUALLY you should be also happy to call for ‘Masculinism’ too, since it means ‘rights for men’, which you surely believe in too right? Only those who lack hypocrisy would agree with this counter-argument. Some Muslims say that ‘Secularism’ just means ‘politics in the material world like building roads, making taps, education and schools etc’. They then claim that the historical Islamic Caliphate was ‘secular’, and the Prophet (saaw)’s rule was secular!!. However, Secularism actually means the separation of religious concerns, beliefs and worldviews from politics. This means the negation of all laws based upon morality that isn’t rooted in physical considerations like physical harm/benefit. This means, marital infidelity, publicly insulting religious beliefs, dealing in interest banking, sexual exploitation of women, and drinking of alcohol all become legal. No Secularist would accept or call for a Secular constitution that says ‘if any fall into dispute, refer it to Allah and his messenger for judgment’, yet this was the constitution of Madinah! Building roads, taps, schools etc, are not neutral acts, or non-religious acts, but are based upon the motivation of the ideology that demands these things to be built. If a government built a road because it believed it is God’s Will, then THAT IS NOT A SECULAR ACTION. Besides, no government builds a road just because it is natural to do so. For thousands and thousands of years, most governments never built roads [except being states like the Romans, or the Islamic Caliphate]. A government would build a road either because they possess a worldview (e.g. like Communism, Liberalism, or Islam) that demands the state should ensure people’s safety and efficiency of travel that would maximise some value the ideology reveres. Although a government may build a road, because everyone else is doing it [i.e. ‘its the modern thing to do’], or to facilitate its own Army to travel quickly [i.e. as the romans did]. The simple response is to tell these Muslims that insist upon using the word, ‘ok – but then EQUALLY you should be also happy to call for, and use the phrase, ‘Religious government’, because according to you, Religious government would surely call for the same things e.g. roads, taps, schools, bridges etc wouldn’t it? Again, only those who lack hypocrisy would agree with this counter-argument. 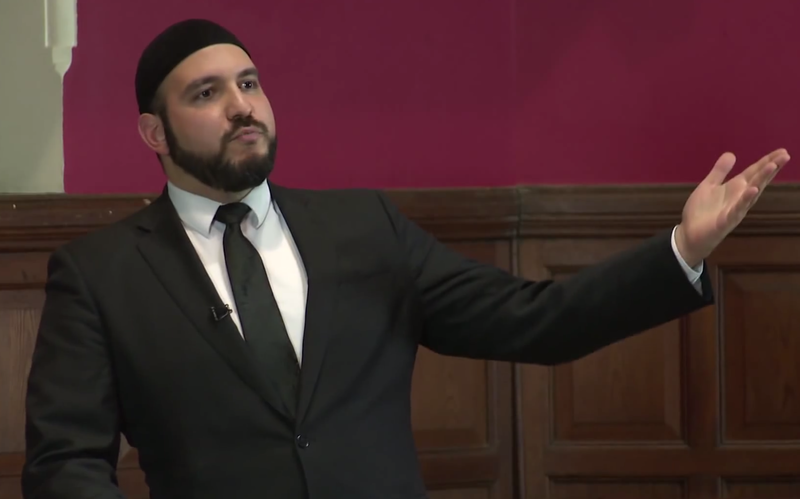 Some Muslims call for Humanism claiming it means to ‘only look after the rights of Humans’. But this too is naive and false. For Humanism refers to a human centric worldview, where Humans ‘are the measure of all things’ and ‘this life’ is the primary concern of thought, and not anything else, including God. That’s why virtually all Humanists today are Atheists. If Atheism is their creed (aqeedah), then Humanism is the religion (deen) of this creed. The simple response is to tell these Muslims that insist upon using the word, ‘ok – but then EQUALLY you should be also happy to use the word ‘Divine Law’ since it would also call for rights for humans, albeit under a God centred worldview. Again, only those who lack hypocrisy, would agree with this counter-argument. ‘Islamic’ Trinitarianism – ‘Is just means’ that we believe in three aspects of God, the Tawheed al Rububiyah, Tawheed Uluhiyyah and Asma’ wa siffat. Of course, all these new terms are absurd, and we’d laugh at anyone who’d be so foolish as to use them, despite attributing to them seemingly benign explanations. But this are no different then using ‘Islamic Feminism’, ‘Islamic Secularism’, ‘Islamic Democracy’ and ‘Islamic Humanism’ – which are all equally absurd for a Muslim to use, and equally derisory. As Muslims, we must reject the false intellectual currency we are told to use. We should not use borrowed words which have a pre-existing, widely understood, and unIslamic meaning, but rather we should use words which are supplied to us from Islam itself, or at the very least (for non-Arabic speakers) the best translations of linguistic equivalents in foreign languages e.g. Deen = ‘worldview/Ideology’, Aqeedah = ‘Creed’. This is because if Muslims use Western words which are loaded with a particular meaning, these then become a prelude to believing in Western concepts. This is how the West spreads its ideology. It is equivalent of teaching Arab Christians to use the word ‘Tawheed’ to describe their concept of God. After a generation or two, none of them would believe in the Trinity anymore! If Islamic revelation is a comprehensive answer to all things, what sensed could be made of needing to go outside it? “We have sent down the Book [Quran] to you making all things clear and as guidance and mercy and good news for the Muslims” (Quran 16:89). So let us give back to the West their intellectual currency, for surely it bares the stamp of their own worldview upon it, and we should keep for ourselves our own intellectual currency supplied to us by God in the Quran and Sunnah. This is the key to keeping our beliefs pure, and ensuring we derive correct intellectual conceptions from our own worldview without distortion. ‘Should we pay or shouldn’t we?” But Jesus knew their hypocrisy. “Why are you trying to trap me?” he asked. “Bring me a denarius and let me look at it.”They brought the coin, and he asked them, “Whose image is this? 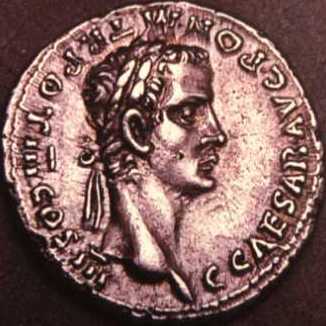 And whose inscription?” “Caesar’s,” they replied. Then Jesus said to them, “Give back to Caesar what is Caesar’s and to God what is God’s.” And they were amazed at him’. Was the Prophet Muhammed an Islamist? Reblogged this on Altered Perspective. Incredible, MashaAllah!!!! Keep up the excellent work. Mashallah brother, very well explain…may Allah (swt) reward you for your great work and effort! Ameen.